Ceramics as body adornment is as old as history and can be as new as today. 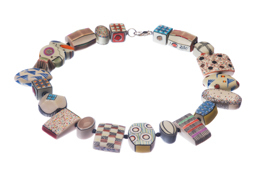 The pairing of clay and beads is an ever-enticing fit. 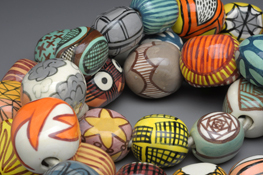 Beads can have limitless forms, personalities and "possibilities." The tactile nature of the material amd the form equally entices our touch: as makers, wearers and viewers. Tuesday, March 27, 5:00-7:00 p.m.